We rescue, rehabilitate, and re-home "pit bull" type dogs to responsible and educated owners. We promote responsible bully breed ownership through education and training and combine our efforts with like-minded organizations to help solve community-related issues that pit bull type dogs face. Adoption gives you a new best friend, saves a life and makes space for another animal to be helped. What more could you ask for? We aren’t going to sugar coat it, fostering saves lives. If you think your home is “foster material”, we would love your help in saving a life. 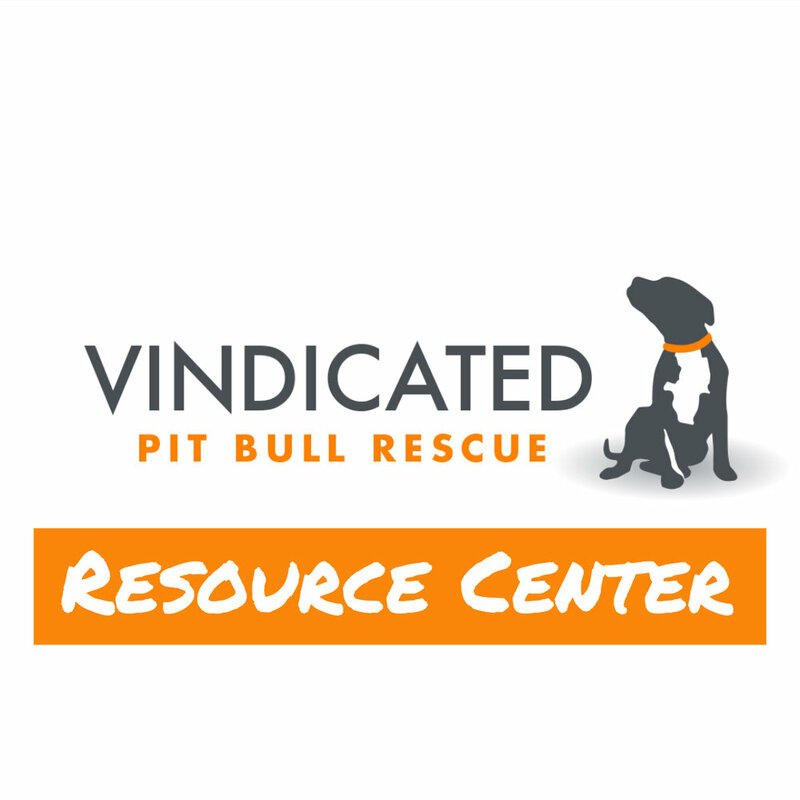 From re-homing your dog to debunking common myths of the pit bull type dog, our resource center is a great way to learn more about responsible breed ownership and get in touch with resources in your area. As a registered 501(c)3 non profit organization, we rely heavily on the kindness and contributions of the general public. Learn how you can help support our work! Interested in Fostering or Adopting Sundae? Click the video above to enjoy #SundaysWithSundae. WE PROVIDE HUMANE EDUCATION, COMMUNITY OUTREACH, Assistance to RESPONSIBLE DOG OWNERs, SHELTER DOG TO SERVICE DOG TRAINING and Advocacy for pit bull type dogs. We are a 501c3 nonprofit and our programs are geared to help eliminate overpopulation and the euthanasia of adoptable dogs through innovative solutions while combatting breed stereotypes. May our Vindicated dogs be the examples of how wonderful "pit bull" type dogs can really be.